For the last five weeks, one question has dominated analysis of Seattle’s Super Bowl chances – how will they cope without safety Earl Thomas? The Seahawks defence has suffered since the star defensive back broke his leg in a Week 13 clash against Carolina – they conceded 38 points the following week against Green Bay and even dismal San Francisco scored 23 points against them. However, there were grounds for optimism after last week’s 26-6 victory over Detroit and Seattle, who have reached two of the last three Super Bowls, look a decent proposition to upset the odds in Atlanta. The challenge will be tougher against arguably the best offence in the league. The Falcons, who lost 26-24 to the Seahawks in Week Six at CenturyLink Field, averaged 33.8 points game in the regular season and opponents are wary that they are just as dangerous on the ground as quarterback Matt Ryan is through the air. 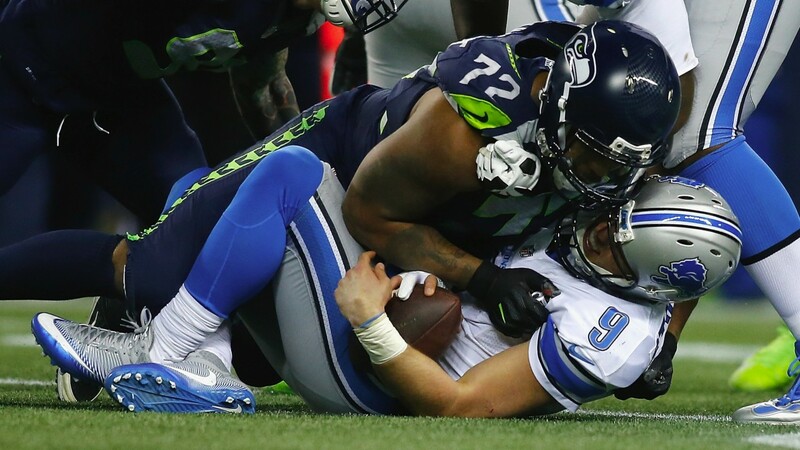 A fit Thomas would have undoubtedly helped the Seahawks keep Atlanta in check, but they found the right recipe for dealing with a decent pass attack against the Lions. It involved getting their own run offence going and after Thomas Rawls rushed for a franchise post-season record 161 yards against Detroit, they could exploit one of Atlanta’s biggest weaknesses. The Falcons have conceded an average of 4.5 yards per carry – the seventh-worst figure in the league – and a good performance from Rawls could not only bear fruit in terms of points it would importantly keep the dynamic Falcons’ offence, led by the game’s top receiver Julio Jones, off the field. Rawls will also be boosted by the fact that fellow running back CJ Prosise should return from injury and be available to share the workload. Atlanta have also struggled to get to opposing quarterbacks – something that has affected them over the last couple of seasons. The mobility of Russell Wilson could provide them with a headache, while Ryan will be mindful that he was sacked four times in the defeat against the Seahawks earlier in the season. The home side provide a great threat but they have failed in the playoffs when highly fancied before – they have lost five of their last six playoff matches – and their progress may not be straightforward again. Seattle Running back CJ Prosise is likely to be involved after missing the last seven matches with a shoulder injury. Full back Marcel Reece has recovered from a foot injury, while defensive tackle Tony McDaniel (concussion) may return. Atlanta Wide receiver Julio Jones (toe) and linebacker Vic Beasley (shoulder) have been able to rest their injuries during the bye week and will play. The Falcons have no other injury concerns.